After all projects on virtual reality and augmented reality that we have seen in charge of Microsoft Research, the truth is that we are not so surprised by the news. 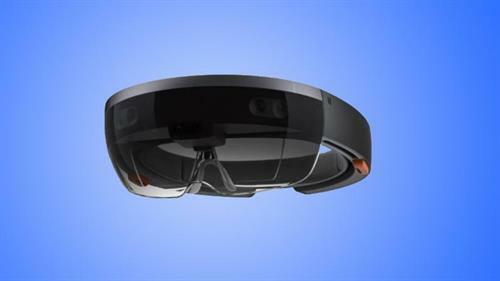 During the presentation of Windows 10, the software giant shared with the public something that could write several rules in the virtual space: the HoloLens helmet. So far, the virtual helmets have been presented as accessories parallel, keeping some distance from the operating systems. Yesterday, things changed. Microsoft announced its preview for Windows 10 consumers, also revealed what is perhaps one of their most daring bets. The roots of this project can be tracked up to the early days in the development of what eventually became Kinect. It's name is HoloLens. 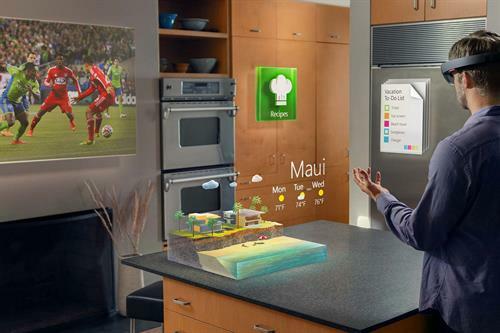 HoloLens and the Windows Holographic environment are more inclined towards augmented reality. Still, we need to be fair here. 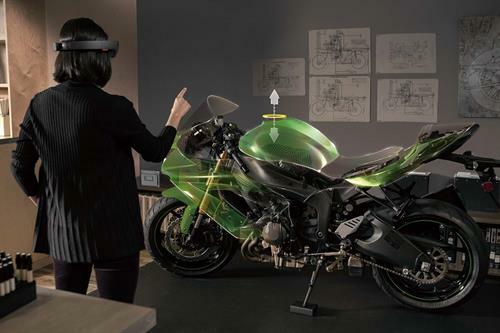 HoloLens is a simple virtual helmet sounds almost to insult. What Microsoft has created is a wearable, completely independent of other systems and sensors (no need to connect it to your PC), which has a dedicated processor named Holographic Processing Unit or HPU. HoloLens is responsible for tracking the movements of the user's eyes and recognize gestures with their built-in cameras, without outside assistance. The demos main were HoloStudio, something like a "Paint in 3D" that allows you to create multiple objects in three dimensions without previous CAD knowledge (and that can be exported to a 3D printer), and onsite implementation, as revealed by the promotional video it could help to make repairs and to explore places as remote as the planet Mars. It is needless to say, HoloLens is in its infancy. Commands by voice recognition, gestures, eye tracking, augmented reality, virtual reality and three-dimensional environments form a very complex equation that will not be a correct solution in the short term, and Microsoft knows it. Launch? The only thing they want was to complete it "within the time framework of Windows 10". If we take into account that the average support for a Windows version is eleven years. I guess that we are going to wait for a great device, independent of other systems and sensors (no need to connect it to your PC), which has a dedicated processor named Holographic Processing Unit or HPU. HoloLens is responsible for tracking the movements of the user's eyes and recognize gestures with their built-in cameras, without outside assistance. The demos main were HoloStudio, something like a "Paint in 3D" that allows you to create multiple objects in three dimensions without previous CAD knowledge (and that can be exported to a 3D printer), and onsite implementation, as revealed by the promotional video it could help to make repairs, and to explore places as remote as the planet Mars. Exactly what have asked you for years augmented reality. Welcome to the world of virtual reality - or rather augmented reality. We will see more of such newer innovations in the days come. Microsoft venturing into this arena is a welcome idea.